Home / Learn / Banking / Bank Lockers:How Much Will You Pay to Get One? 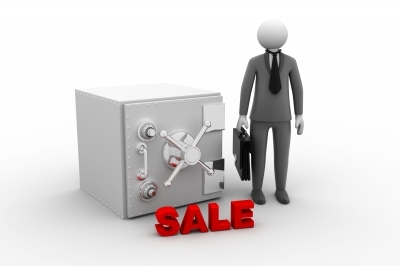 Can banks put conditions for providing you safe deposit locker facility? Few weeks ago, I opened a savings account with a leading private sector bank in her vicinity. I had two accounts with other two leading banks and this one made sense because it was closeby and the relationship manager promised that a big locker is available too. Anything for a bank locker that’s just outside my house, I said. I made plans to surrender the locker with the same bank’s far away branch. The new bank account got activated. I visited the branch to know about the locker formalities. Avinash, the relationship manager who had made the tall promise of locker wasn’t around. His colleagues requested me to wait for few weeks for the surrender of the locker. I had always liked this bank for its friendly and approachable staff, so I politely told the relationship managers to not to mislead customers with false promises. I waited for few more weeks only to be told that the surrendered locker belonged to business category and can’t be allotted to me. I walked out of the bank with an account closure form in my hand. I enter the newly set up branch of another leading bank, where I had a banking and share trading relationship for almost a decade. It’s a new branch so they might have vacant lockers. But this bank was upto something else. “We have a long waiting list Madam. You can jump this queue if you can commit Rs 1.5 lakh every year for next five years” said the relationship manager. The bank would put this money in a fund that gives 91% return, he added. As I asked him further, it turned out that the bank would have put that money in a unit linked plan and not a mutual fund scheme. He also gave me an option of choosing equity or debt schemes for investing. So basically Rs 7.5 lakh over 5 years is what you need to invest to open a bank locker with this leading private sector bank. Wouldn’t somebody pay that amount towards a home loan installment or in purchasing a big asset? I quietly walked out of the branch. Which bank should I trust? The one that mislead me into opening an account or the one that wants my money upfront, all for a safe deposit locker? The Reserve Bank of India guidelines as you can read here, expressly prohibit banks from linking locker facility to any kind of fixed deposits except for deposits that may cover upto 3 years of locker rent. The regulations also require banks to allot a wait listing number and ensure transparency in the allotment. But the truth is despite strict rules etc, the banks have been laying down various conditions for providing locker. My Gruhinis, please don’t fall for such coercive measures taken by banks. I know its a big risk to keep your valuables like jewellery at home, but your family wealth and belongings will be at a bigger risk if you commit your savings in unknown financial products advised by banks in lieu of a locker. Instead, invest in a home locker as this article gives out various pros and cons of the variety of lockers that are available.